The twins recently turned five and received their first bicycles, which were their only gifts from us. Oh, wait. Except for the umbrellas that my husband purchased on a whim. Don't ask me why they need umbrellas on a cloudless summer day, but they sure do love playing with them. They do look like they're having fun! The umbrella are lovely. What a fun gift! Adorable. Happy birthday to your girls. So cute with those umbrellas. My daughter loves hers. 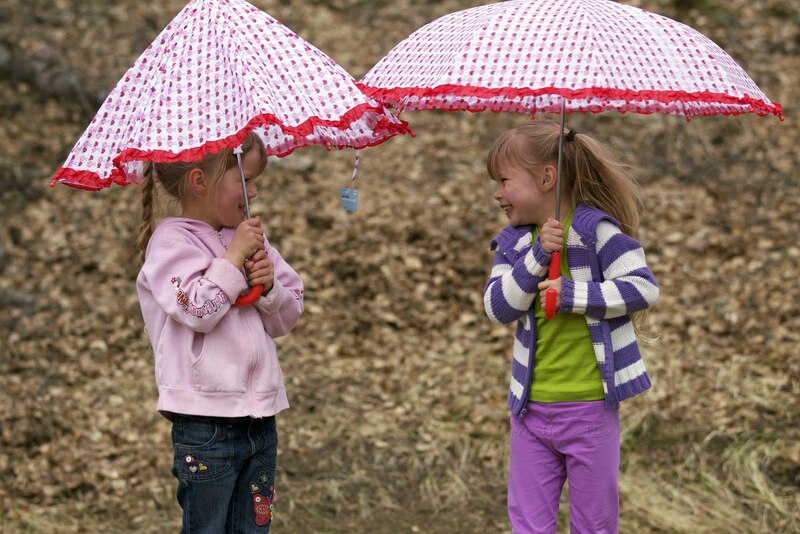 Little girls love umbrellas. So cute! I love who their faces are so full of delight! When my son turned 4, he asked for an umbrella for his birthday. It must be something about that age. My daughters (10, 7, 4 & 4) abjectly BEG for umbrellas in every store we visit. And I know exactly how long it takes for a child's umbrella to break, so I have to crush their eager little hopes every time. They look adorable with their matching umbrellas. Time to visit the canvas people --- this photo of the girls is beautiful! So full of life, and love.